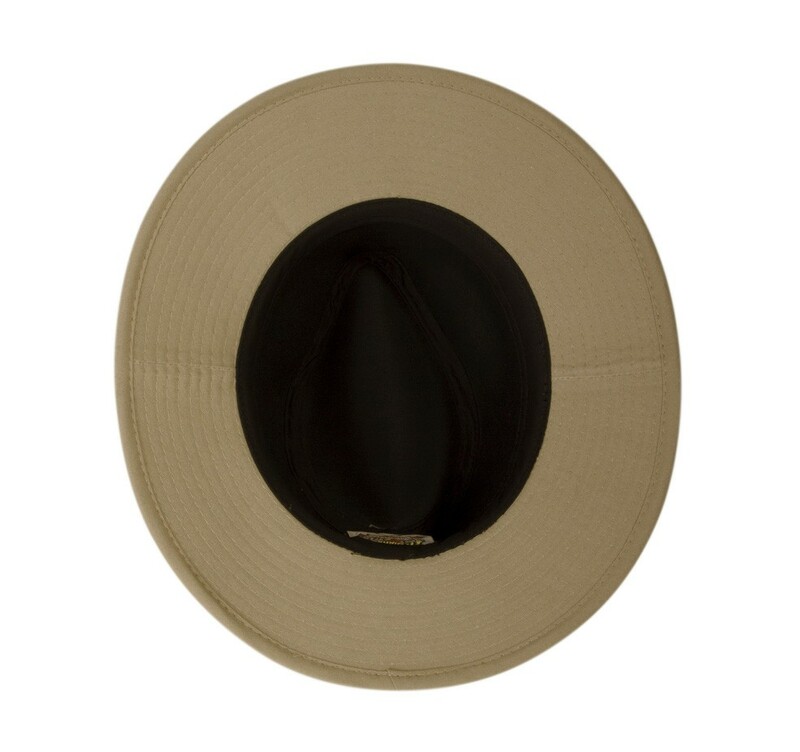 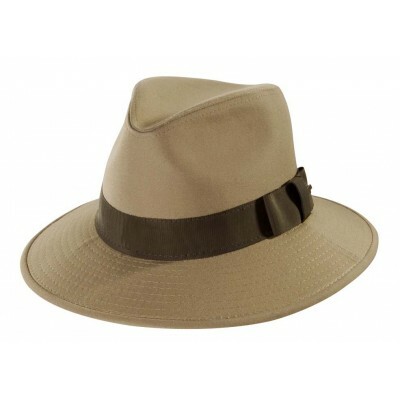 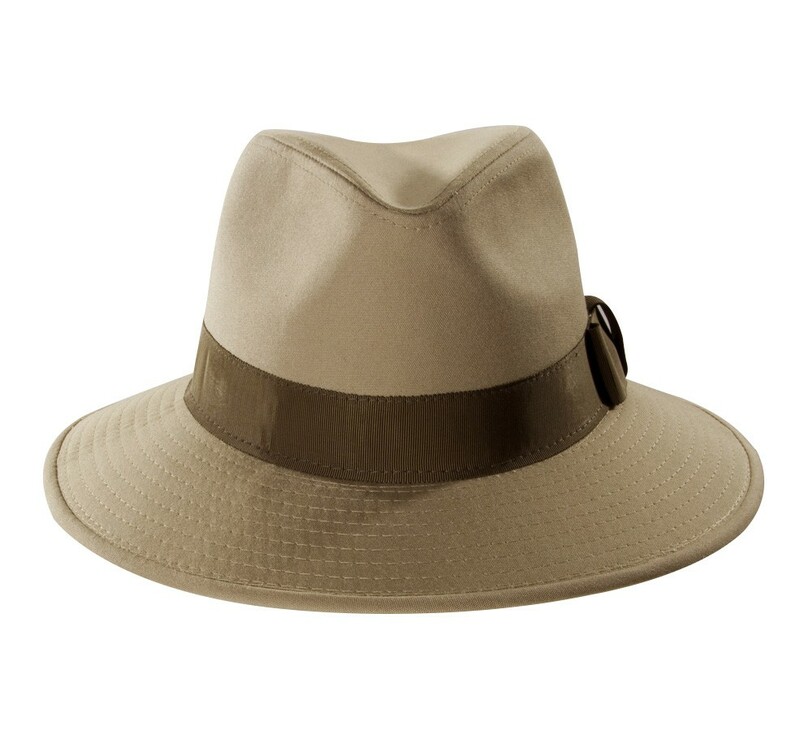 For the not-so-dry days of your adventures, consider this Officially Licensed Indiana Jones Dr. Belloq Safari hat. 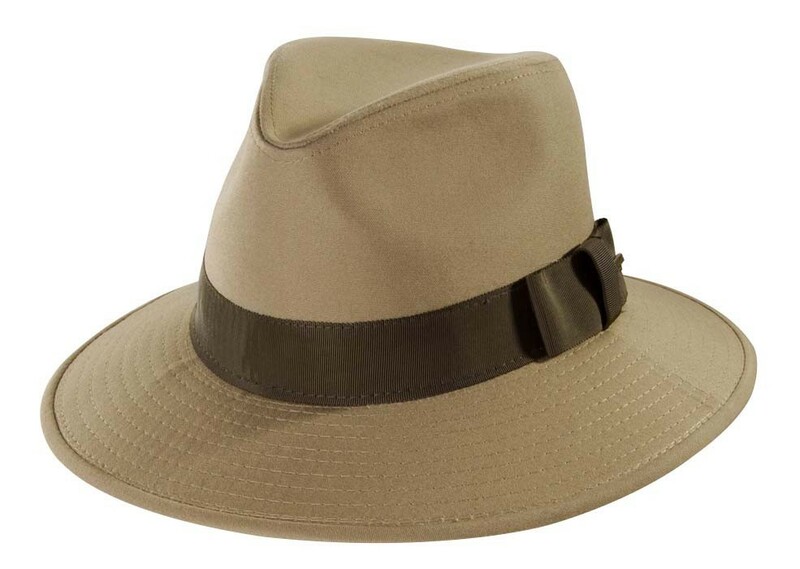 Made of sturdy cotton twill fabric, this khaki safari sports a 4" tall dented crown and a 3" brim to keep the sun and rain away. 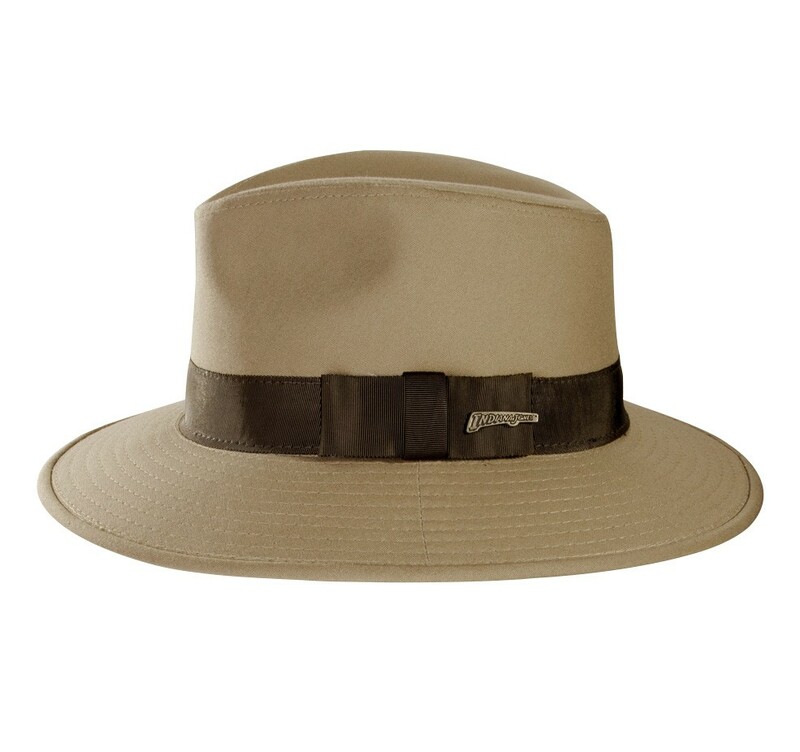 Its stitched grosgrain trim is home to the customary signature Indiana Jones pin sure to start up a conversation about your striking self.